One of the main bridges across the canal in Venice would be the Rialto bridge. 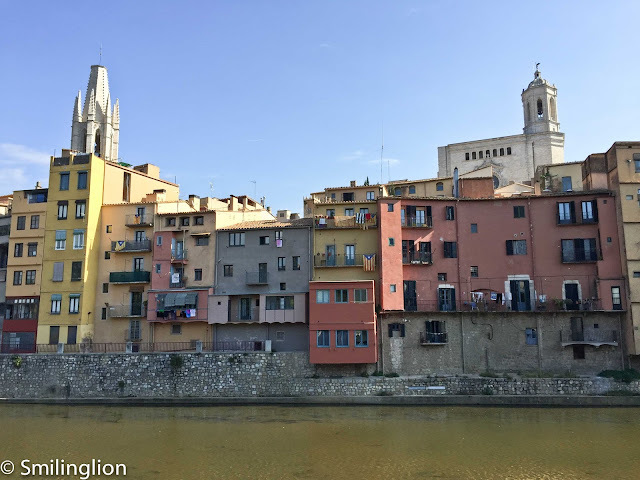 It is one not dissimilar to the Ponte Vecchio in Florence whereby one would find oneself perpetually elbow to elbow in crowds trying to get across it. People will linger on it to take scenic pictures of the canal as well as to browse the many jewelry and souvenir shops on it. 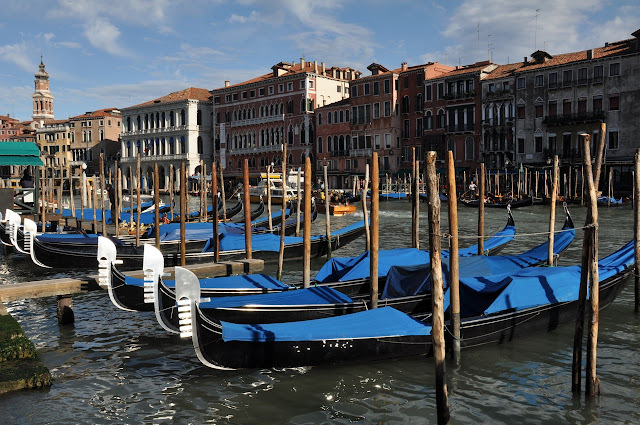 This is one of the centers of tourist crowds in Venice and there are countless hotels and restaurants lining the canal around it. 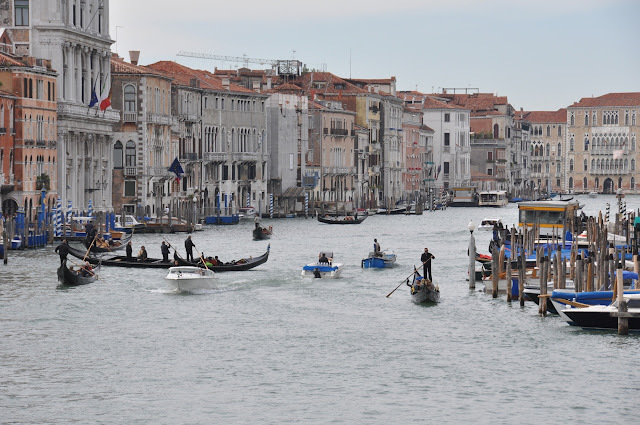 Across the bridge is the famous Venice market square where at the right times of the day, fishermen bring their haul of seafood to the stalls to be sold. Not far to the east of the Rialto bridge on the side of the main island is a popular restaurant called Fiaschetteria Toscana. 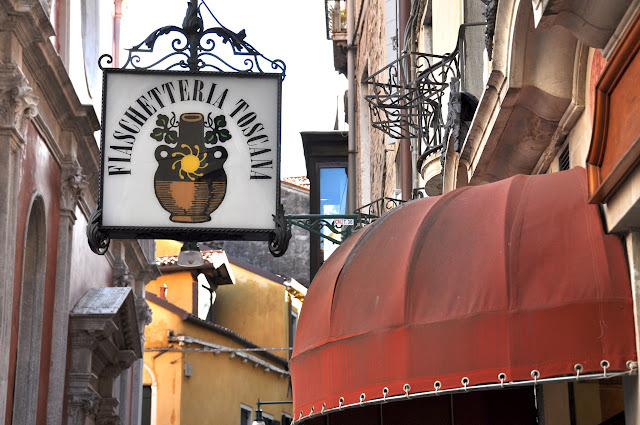 Despite its name, it actually specializes in Venetian food, and the reference to Toscana or Tuscany in its name is due to its origins as a wine shop selling Tuscan wines many decades ago. 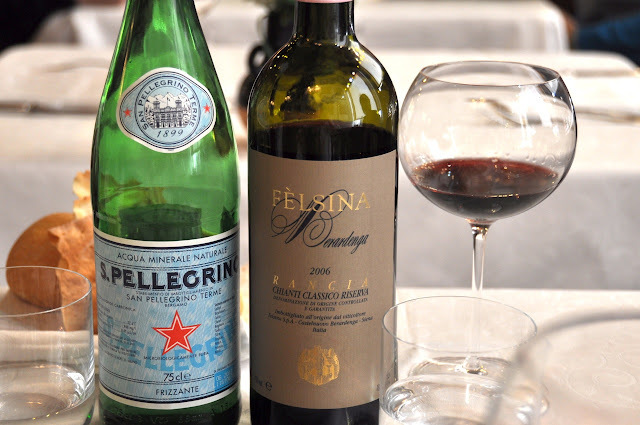 True to its roots, it has quite an impressive wine list, especially of Tuscan wines. We picked out a bottle of the Felsina Chianti Classico Riserva 2006 which was, according to the Gambera Rosso Italian wine guide of 2009, its choice of the best wine of 2006. We picked this at the expense of the Fontalloro of the same vintage, a supertuscan from the same producer which was for the same price. The Riserva was a very structured and balanced Chianti, though still very young and could do with a few more years of cellaring. In hindsight, the wine was not very suitable for the relatively light seafood lunch we were having and we should have gone for the softer supertuscan as a better match for the food we were having. 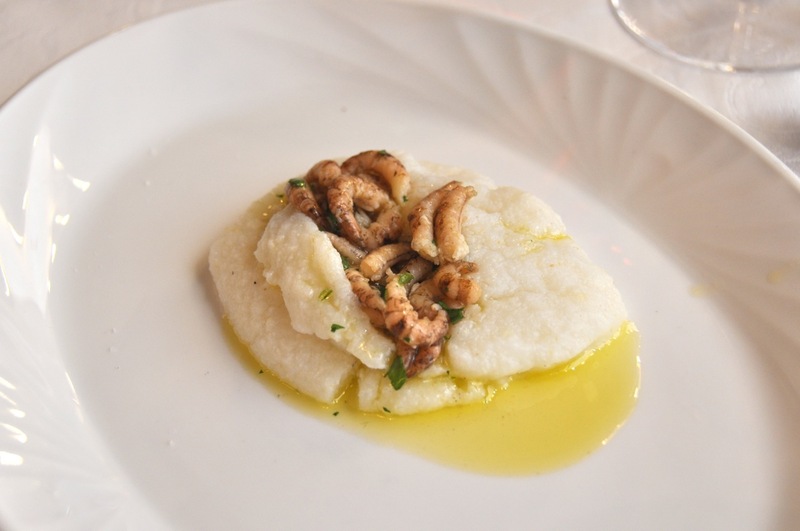 Acting on recommendations from the waiter, we ordered the razor clams and the shrimp in polenta, both of which were excellent, especially the razor clams which were fried in garlic and olive oil and were absolutely delicious. The shrimps were themselves quite interesting, as they were really small but fried lightly and very tasty. 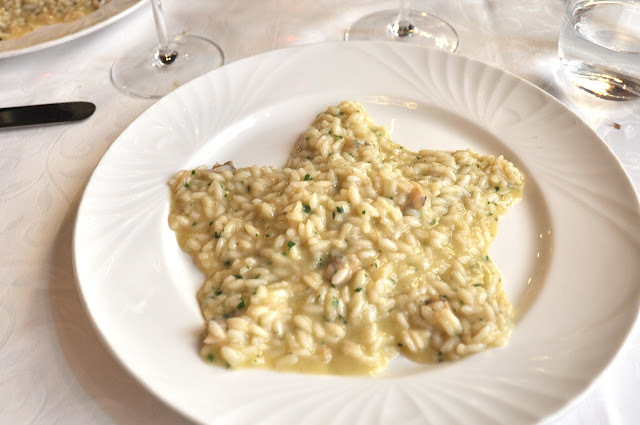 We then each had a portion of the clam risotto which was very good as well. This was followed by the deep-fried calamari which tasted lighter than what we were accustomed to. 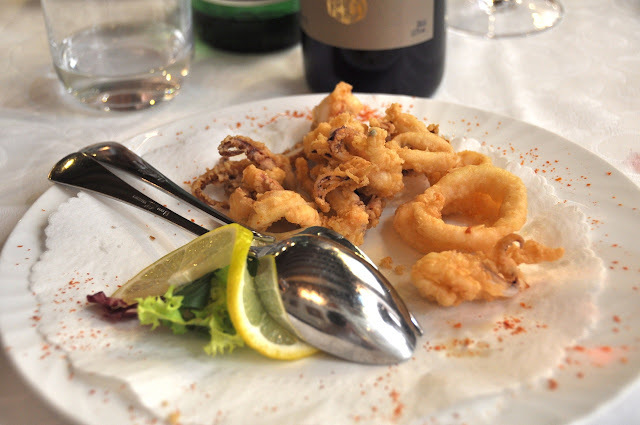 The squid was very fresh and they deep-fried it in olive oil. 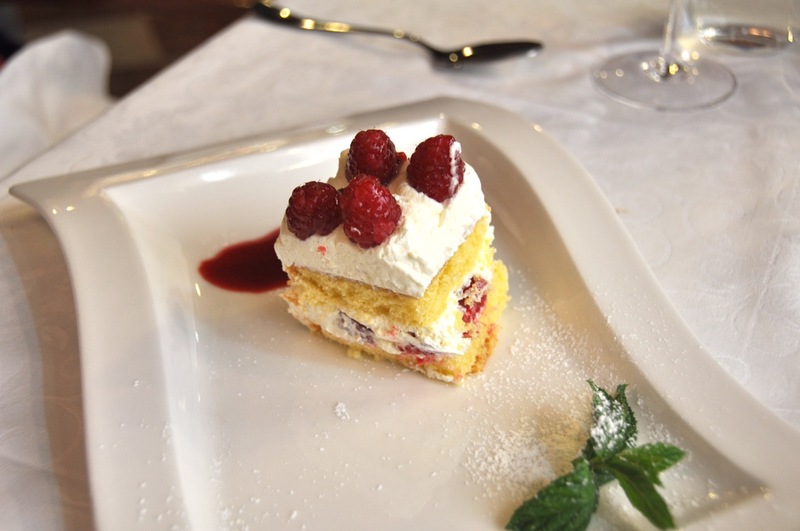 Dessert was a simple berry cake. Final Thoughts: This was a decent restaurant with a good wine list. 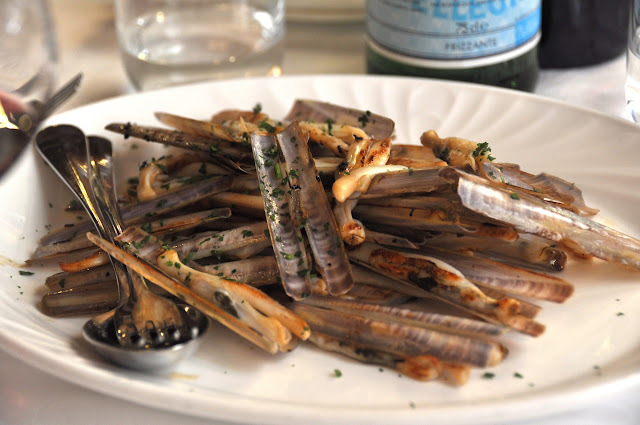 We particularly loved the razor clams and the risotto, and generally their seafood dishes were very good.